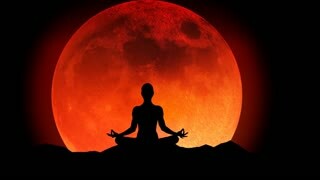 Female silhouette meditating under a super blood wolf moon. Moon rover on the moon. 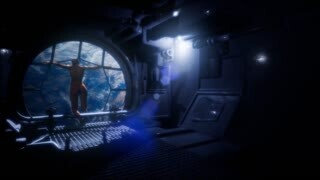 space expedition. 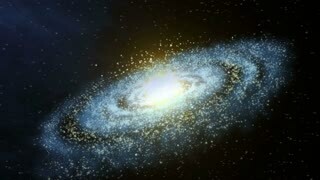 Earth background. Super realistic 3d animation.